Mexican authorities are offering a cash reward for information leading to the capture of a state governor who has been accused of working with organized crime. On Friday, Mexico’s Attorney General Office announced a $15 million pesos ($7.5 Million USD) reward for information leading to the arrest of Javier Duarte Ochoa, the governor of the State of Veracruz who has been charged with engaging in organized crime, money laundering and other crimes. Duarte had been the governor of the State of Veracruz from 2010 until last month when he stepped down and went into hiding following investigations into public corruption and embezzlement of public funds, Mexico’s SinEmbargo.Mx reported. The governor fled after he lost the support of his political allies in the Revolutionary Institutional Party (PRI) and they kicked him out of the political group. 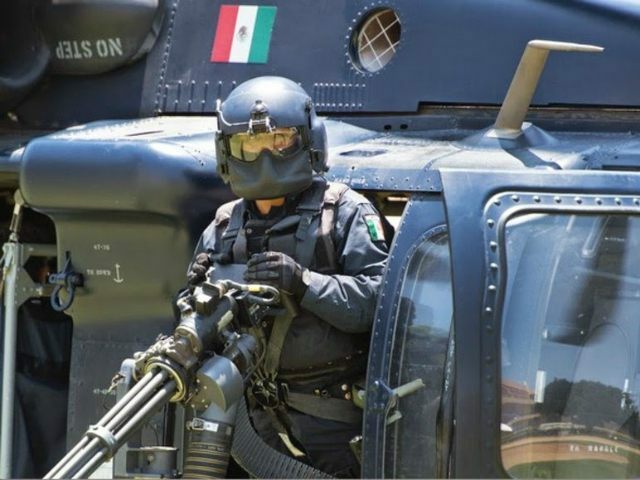 The move came after Mexican authorities were able to identify public officials who had been using phantom companies to embezzle millions in public funds for services and goods that were never rendered. The state of Veracruz has long been a bastion of the Los Zetas cartel where the members of Mexican drug cartels were able operate with impunity. Breitbart Texas has reported on how one former Mexican governor from Tamaulipas who is currently a fugitive of the U.S Department of Justice. He is alleged to have obtained access with the government of Veracruz to the main port in that state on behalf of a Mexican cartel. As Breitbart Texas reported in the past, Veracruz appears to be one of the deadliest place in the world for reporters, including Iraq and Afghanistan. Since the election of Gov. Javier Duarte in 2010, at least 17 reporters have been killed.